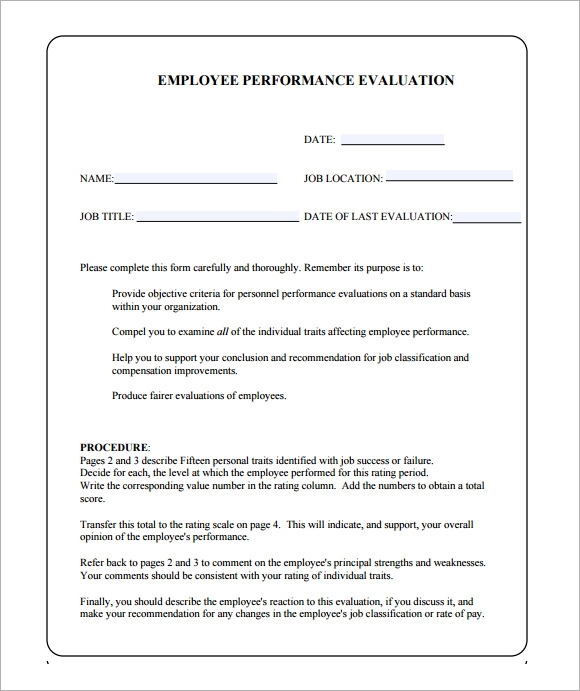 The purpose of job performance evaluation is to evaluate the performance of every employee in their work area. 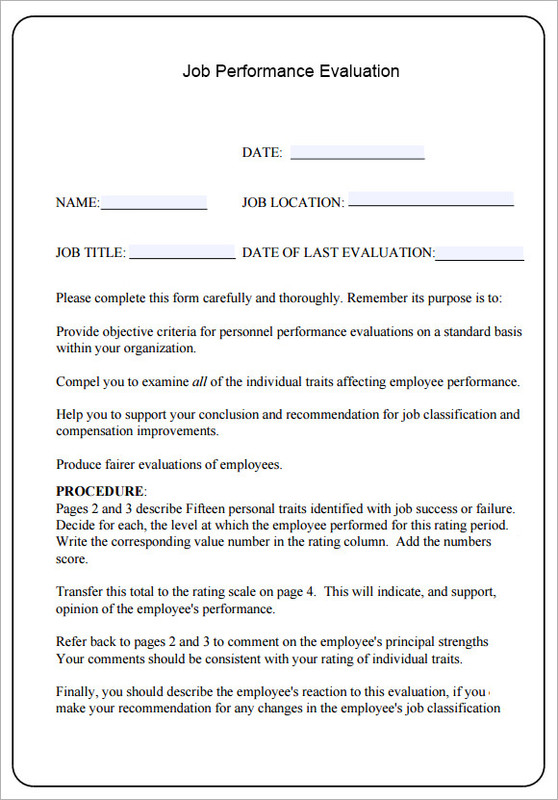 This is necessary to assess the skills and interest of employee in his or her current work position. 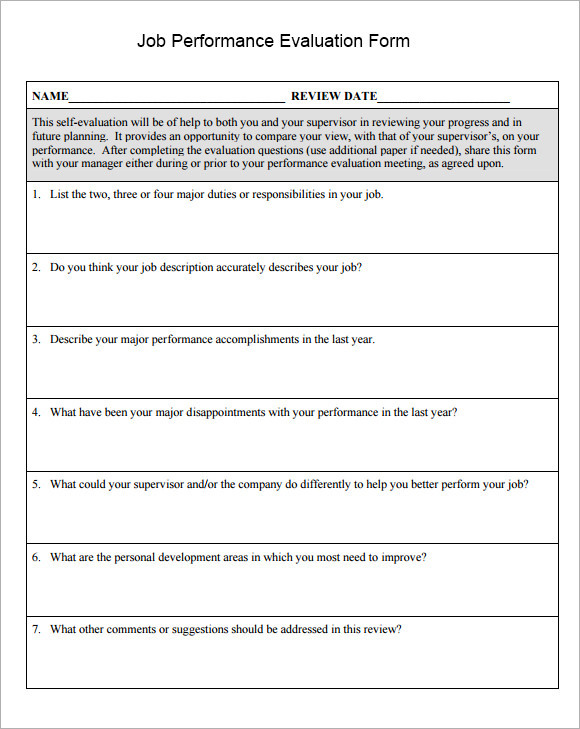 As part of performance appraisal, it is a requirement to be done by the management on his or her people. 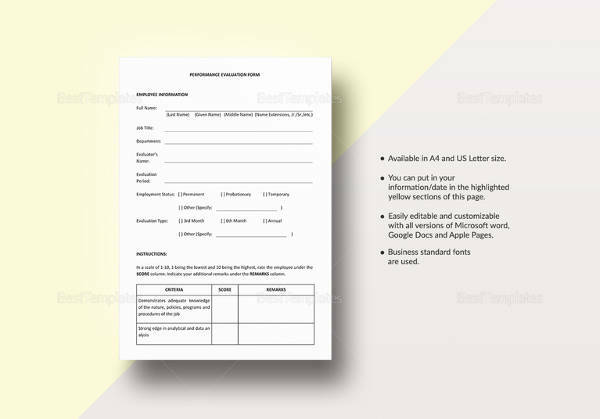 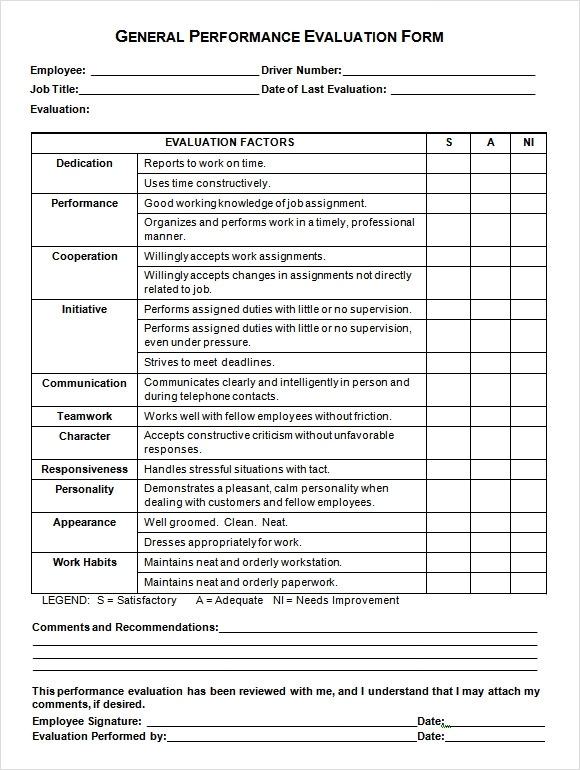 An example for this evaluation is found in website template for free. 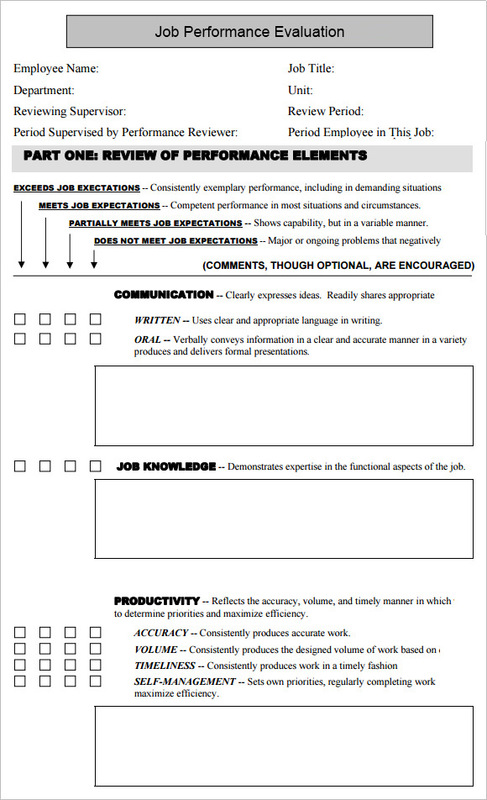 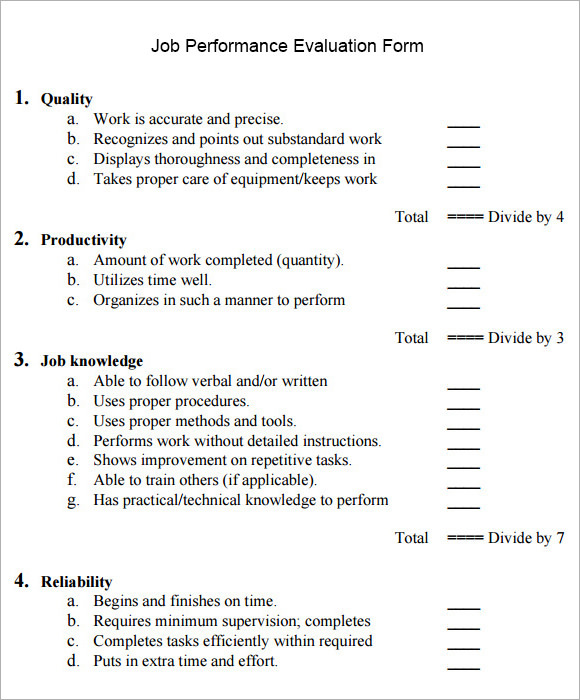 This sample is downloadable for future reference when assessing the work performance of an individual. 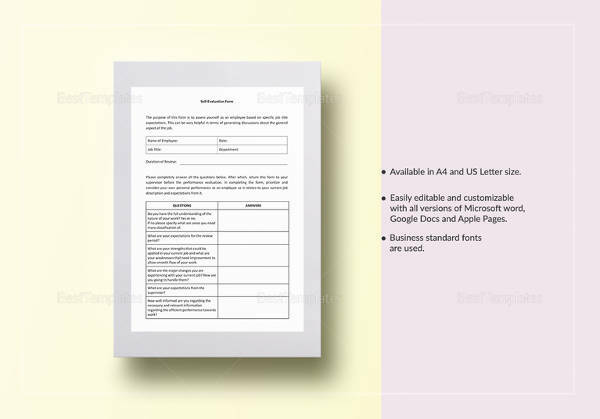 Once it is final, it can be print already. 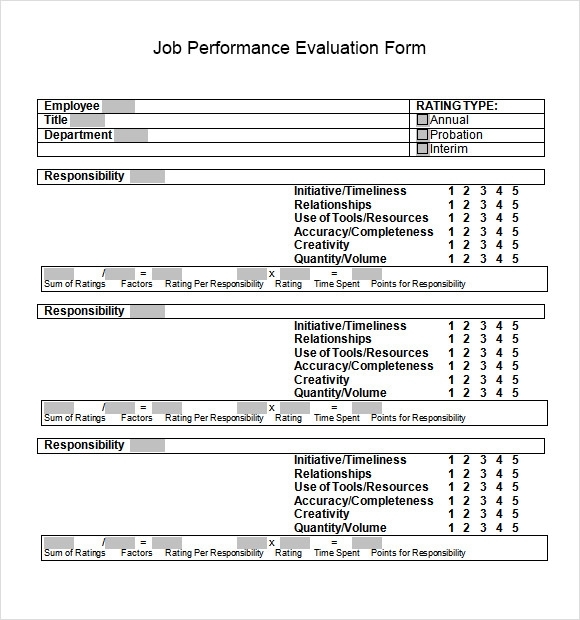 The job performance evaluation is done in Microsoft Word or PDF. 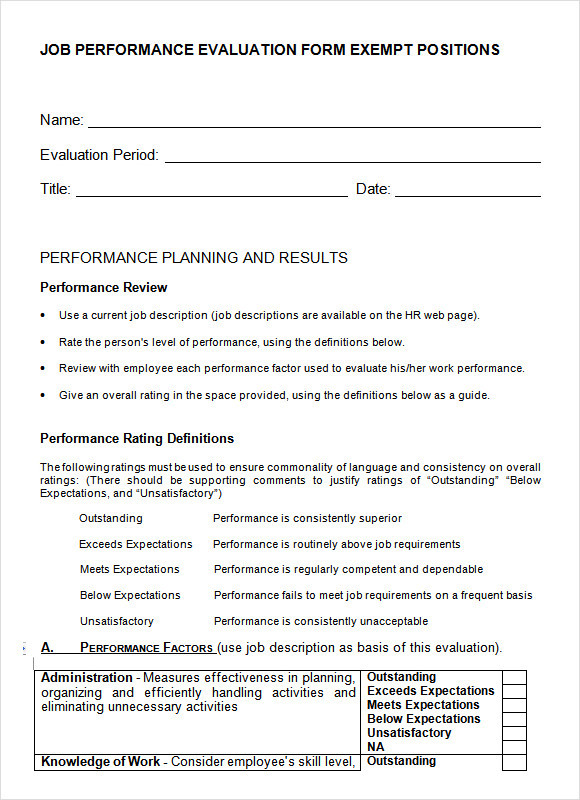 The job Performance Evaluation template is therefore an essential tool for rating fairly the performance in terms of the standards.